Explore the world & Enjoy your time in comfort and style! 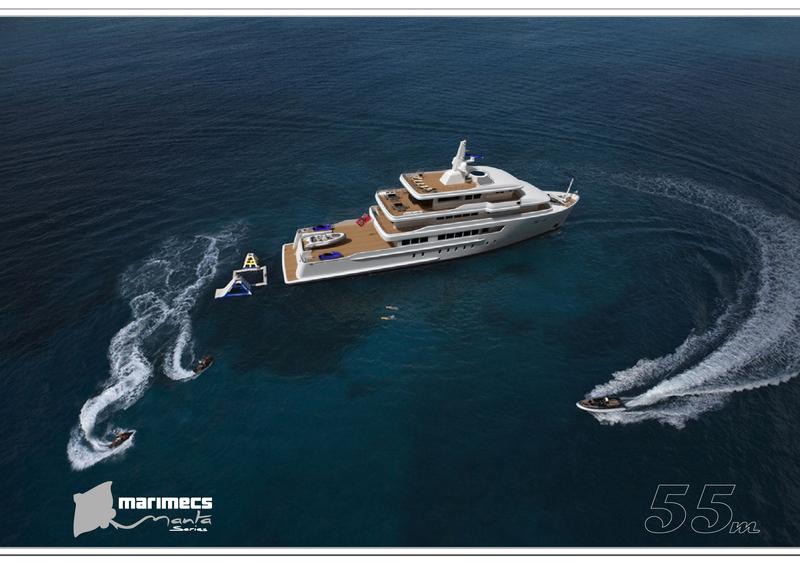 Marimecs Manta Explorer Yachts introduces an entirely new line of Explorer Yachts, due to its sizes and the clever accommodation layout these Explorer yachts are comfortable and particularly practical long range cruisers, with conventional or diesel-electric propulsion and optional Ice reinforcement. The yacht is optimized for remote exploration, discover the most beautiful places on earth like known Historical Pioneers. 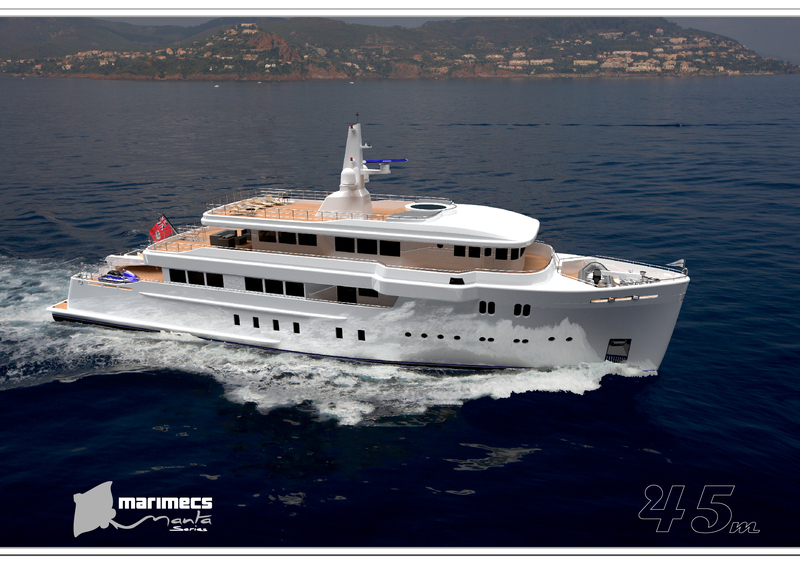 Marimecs has a practical and experience-based explorer yacht design approach; a Marimecs Manta Explorer Yacht is a robust yacht, with a generous amount of interior space, not only in terms of accommodation but also with regard to living space. It offers comfortable and safe seagoing behavior, features simple but well thought out systems and equipment, which increase safety and reduces running cost. 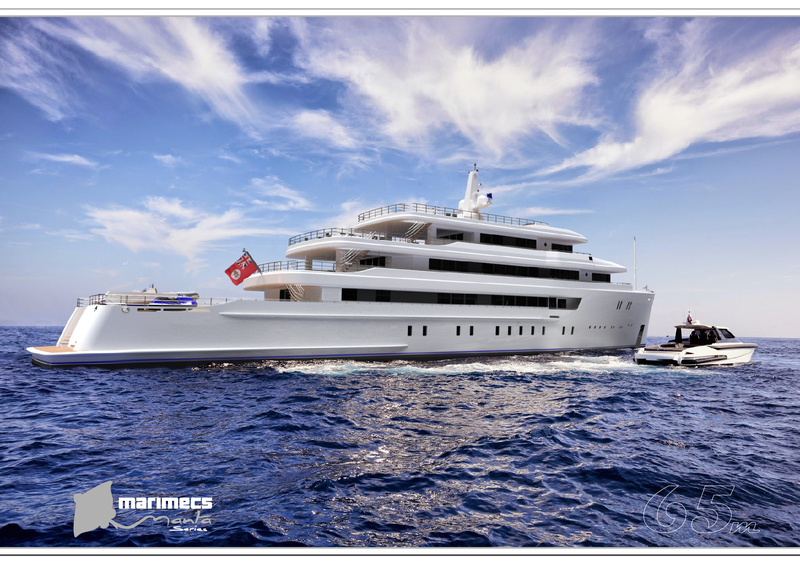 Historically, there roughly has always been a distinction between sailing yacht owners and motoryacht owners. Sailors would be classified as, in general, being very involved with their yacht, making long journeys and being motivated to preserve the traditions of the sailing way of life; a way of thinking in which the journey itself is a goal. 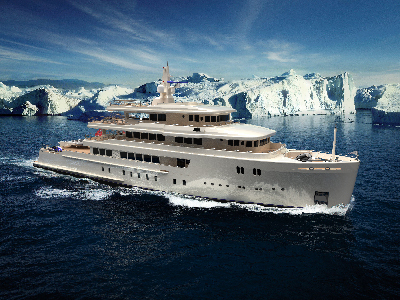 Explorer yacht owners are today’s yachting adventurers. 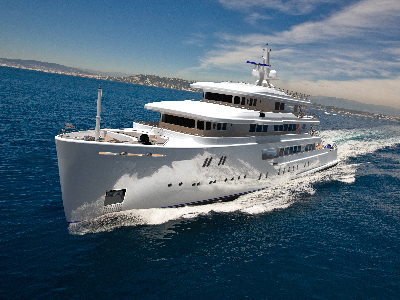 In general they are experienced yacht owners who know how they will use the yacht and what they will not use it for. 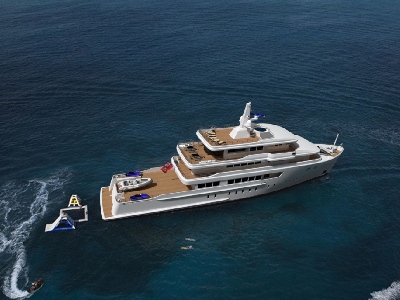 The yacht’s interior and exterior spaces are carefully designed to match a typical explorer’s wishes, in the initial layout there is room left for personalization and specific requirements. 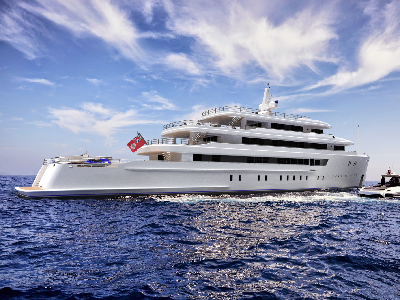 "Explorer yacht design has always been one of our favourite fields of work, and this design series is based on those decades of practical, as well as artistic experience. The aft main deck accommodates toys and tenders, eliminating the need for a costly tender garage and complicated launching equipment. 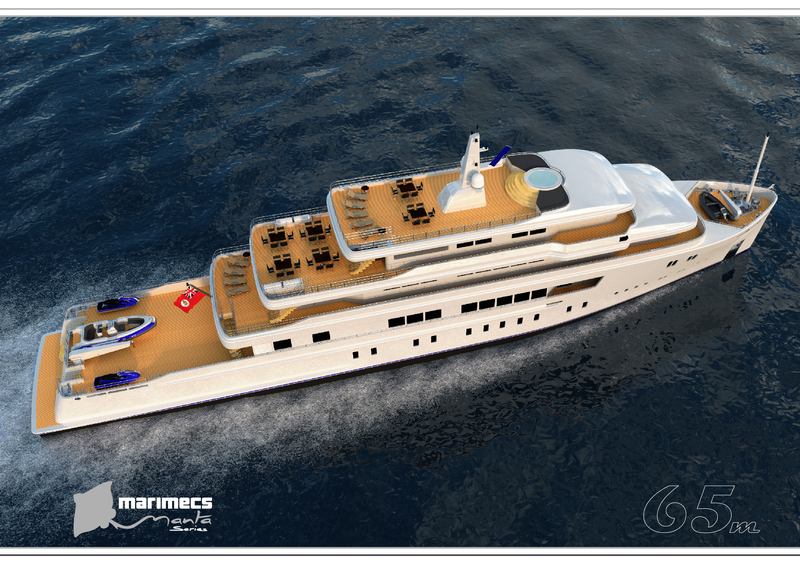 The starboard side of the yacht accommodates a lobby, which provides entrance to the main deck’s salon. 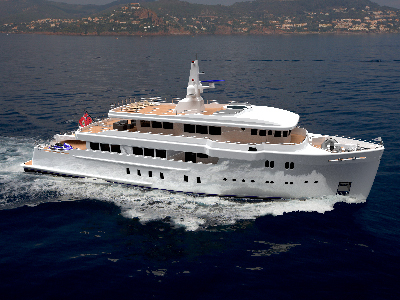 Thanks to the yacht’s wide body, the full-beam salon with dining area is spacious, befitting a luxury yacht. 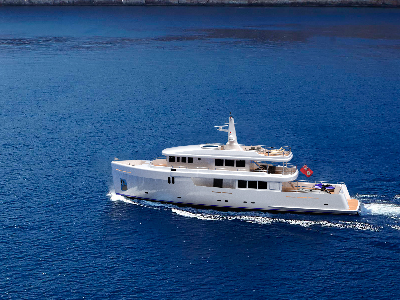 The forward part of the main deck offers a separate owner’s area, which enables a private retreat. 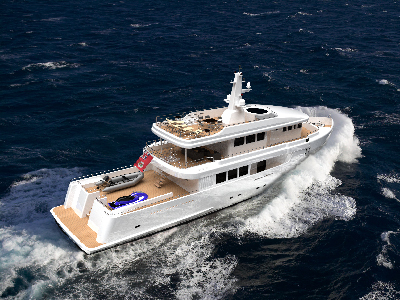 The forward part of the lower deck houses the crew area, whilst the stern offers a beachclub and much extra storage (for instance for diving equipment). 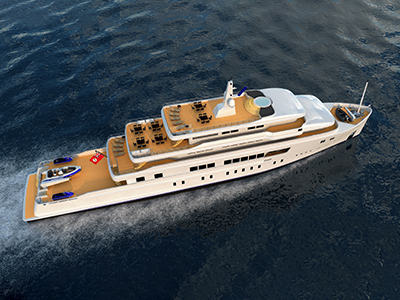 The lower deck houses a full-beam VIP cabin and two more guest cabins. 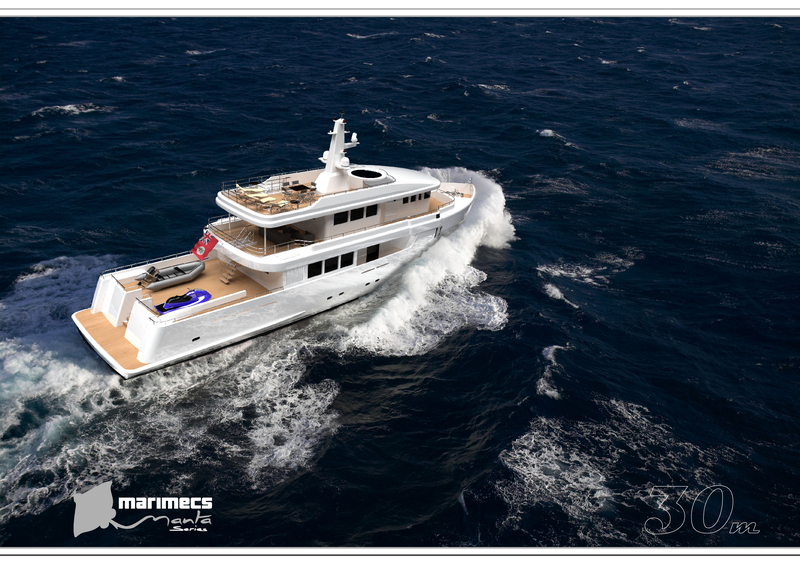 The bridge deck offers a large bridge with comfortable lounge corner, which due to explorer characteristics, is part of the yacht’s living space. The salon aft of the bridge is another comfortable place to reside, with impressive views outside and easy direct access to the bridge or spacious aft deck. The sundeck is dedicated to alfresco-living and sunbathing. It includes a spa pool surrounded by generous sun pads, a bar and more comfortable lounging options. Naturally, alternative arrangements and options are available as per owner’s request. With over 25 years of experience in the marine industry. We combine state of the art technology with traditional design and drafting skills to deliver reliable, efficient and high-quality services. Our sales department can inform you about the Manta Series and are your first contact partner. 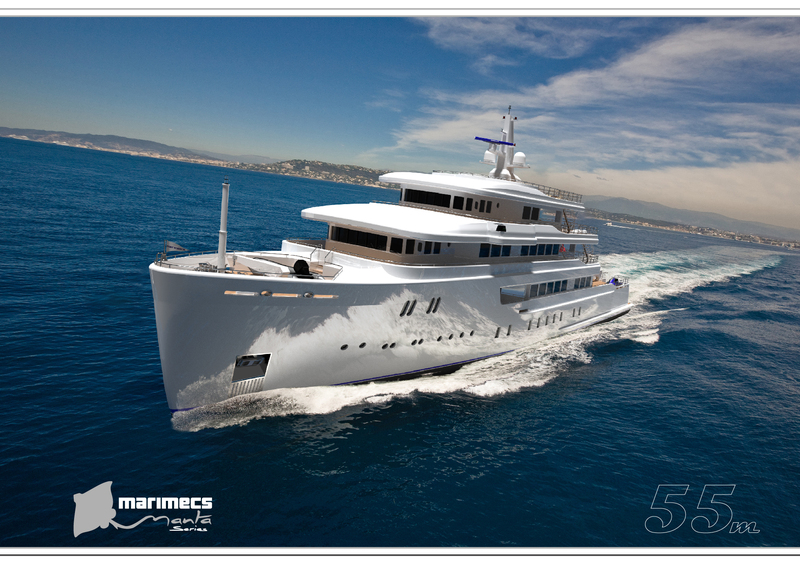 Our sales and service has many years of industry experience and includes seasoned ex-Superyacht Captains and Engineers. 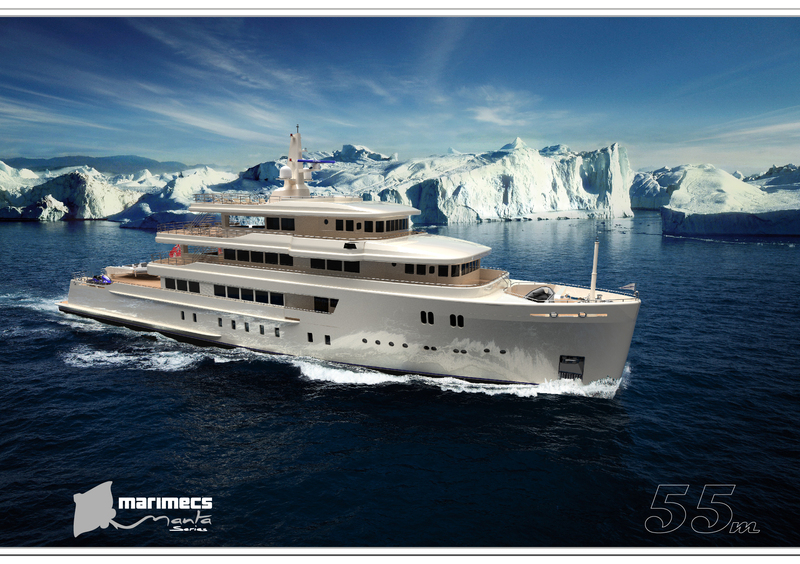 Interested in our yacht series? Please contact our sales and service department for more information! 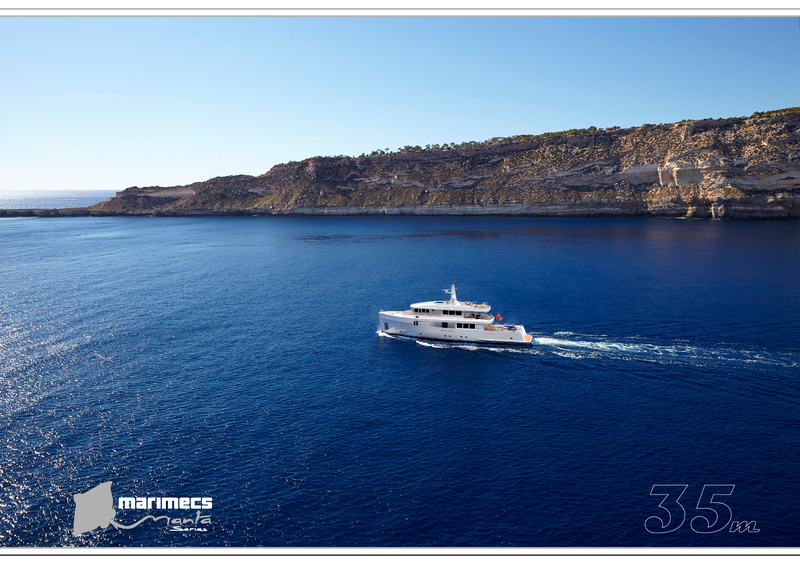 In the meantime please feel free to download our Manta Explorer Series Brochure for more information.